iTech Xpress offers computer and computer repair solutions to communities throughout the Los Angeles County and all neighboring cities. Modern technology has enabled wired and wireless networking for all kinds of devices including household printers. If your household has multiple computers, we can easily connect them so that you can access files from any device. We make it easy to share files between networked devices. 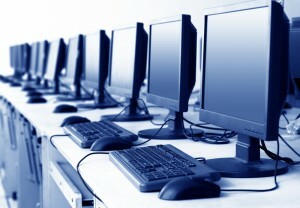 For businesses, we can also help you establish an intra-office network or an inter-office network. We work with LAN, WAN and wireless networking products, software and hardware. We offer one-time setup and monthly services to maintain your network. With a fully functioning network, it is easy to install an automated backup system that will help to keep your data safe from hardware and software failure. In addition to backup services, we can make sure that all of your computers are networked properly and that files and storage protocols are functioning normally. We offer software installation and antivirus security installation too. We can help you as your business expands and as you add new units or systems. We can monitor and provide assistant remotely or can be on the scene when you need us to be. We can also build custom designed computers to meet your specific business needs. Whether you need extra RAM, or you need work stations, we can build what you need to your specifications. iTech Xpress is a comprehensive partner that is capable and skilled in developing and installing network services. We offer complete security through software and hardware installation. We offer complete data backup and recovery services. If you have data loss, we can help recover the data that is salvageable. We believe in prevention as a standard way of doing business. We offer high caliber customer service because we build long term positive relationships with our customers. We offer guarantees on all parts and services. If you need computer networking services, then call us. We are happy to give you an estimate or arrange for an in-home or in-business review and estimate.